Complementary Compounding Services has a purpose built world class State-Of-The-Art multi-clean room compounding only facility. We have separate clean rooms for Bio-identical Hormones and for nutraceutical products both separated by an ante room/air lock. 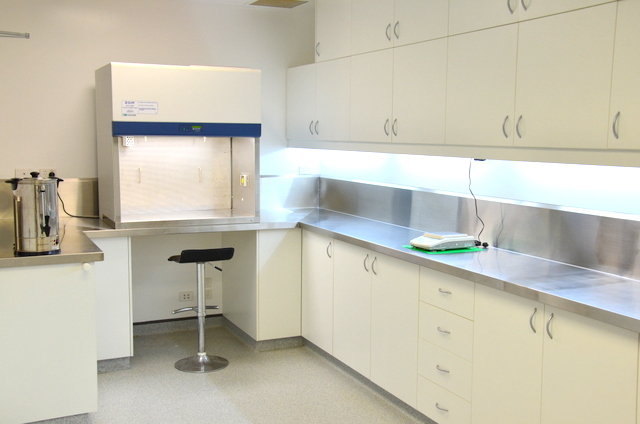 In addition there is an ISO 8 ante room and adjacent ISO 7 sterile room for the production of sterile dose forms. Each clean room is separated which ensures that no cross contamination of products occurs during the compounding process. Click here for a Virtual Tour of our premesis. In addition each of the clean rooms and sterile room are supplied by their own individual isolated ducted filtered air supply to avoid air contaminants from other rooms entering through recirculated air via a common air conditioning system. Each room is also maintained under positive pressure to avoid contaminants entering the room with the exception of the HRT Lab which is maintained under a negative pressure which prevents hormone dust from escaping from the room. Each room is constantly monitored and maintained at a constant pressure, temperature and humidity in order to maintain the maximum stability of all raw ingredients. We also have an airborne partical counter which measures airborne particles which shows our aseptic clean rooms exceed the USP requirements for an ISO 7 sterile room during busy operation proving our clean rooms are exceptionally clean. 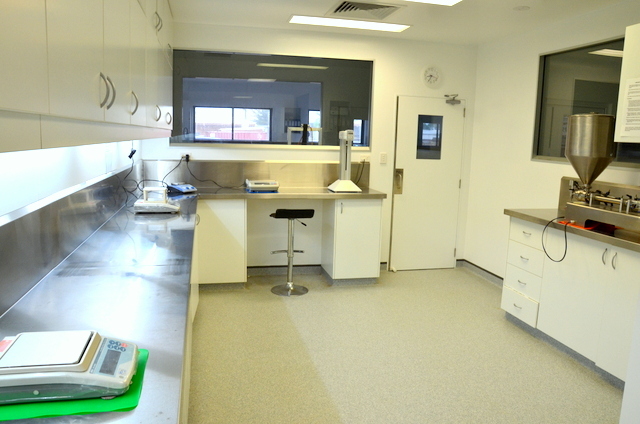 Our Clean rooms are built to the highest specification from stainless steel bench tops, epoxy coated walls, door seals, laboratory lighting, being air tight, etc, etc which complies with USP standards. Our specialized compounding clean rooms are exceptionally clean environments with built in air filters removing particles of 5 microns or more. Staff entering these rooms must be appropriately gowned including face masks, gloves, shoe covers and hair nets. We also have a strict daily cleaning procedure to ensure it is maintained so. Our clean rooms are each equipped with a NATA approved Gelaire isolation cabinet which contains a HEPTA filter for the removal of airborne particles down to 0.3 microns. This enables us to produce dust and particulate free capsules, creams and lozenges and also prevent cross contamination of powders. For sterile compounding we have a NATA certified sterile ISO Class 7 room with an adjacent ISO Class 8 ante room both equipped with air filters removing particle sizes of 0.2 microns or more. 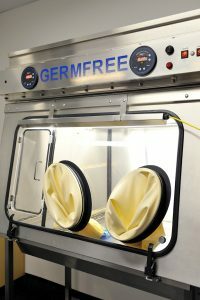 We have a GERMFREE ISO Class 5 sterile laminar flow Barrier Isolator for the production of sterile injections in the ISO 7 sterile room which meets USP standards for sterile products. We are one of the most experienced sterile compounding pharmacies in Australia with Dr Serafin being involved in sterile work since the 1990′s. By investing in a world class facility we are able to provide pharmaceutical quality products and hopefully dispel the stigma associated with some compounding pharmacies not being of sound quality.